Farmers can’t control the weather but we can control how we prepare for it. My advice is to be prepared. Don’t just assume that the rain is going to come because somebody’s given you a long-term forecast. Focus on being able to take advantage of the rain when it does come. For us that means having optimal soil fertility, good pasture cover and healthy cows. I live in a very special part of the world. From my front veranda, I can see rolling green hills to the left and to the right and in front of me is the ocean. Every 3 weeks for 6 hours of the day the view gets even more special when our magnificent cows graze in the front paddock. You can understand why we call it paradise. Our family has been farming in this region for over 180 years. Our farming situation is quite unique. We are part of a dairy-centric, rural-residential subdivision consisting of 12 housing blocks ranging from 4 ha to 40 ha. Prime agricultural land in our region is up to $70,000/ha and in the past 25 years none of this land has been bought for commercial farming purposes. But we recognise that the influx of lifestyle farmers provides opportunities to lease land from them at a fair price. We also lease an additional 250 hectares of land, which we use to raise our young stock. Our landlords acknowledge the improvements we have made through our best farming practices and investment in revegetation. We realise to successfully farm in this environment it is pivotal to build cross-community partnerships to secure our right to farm. 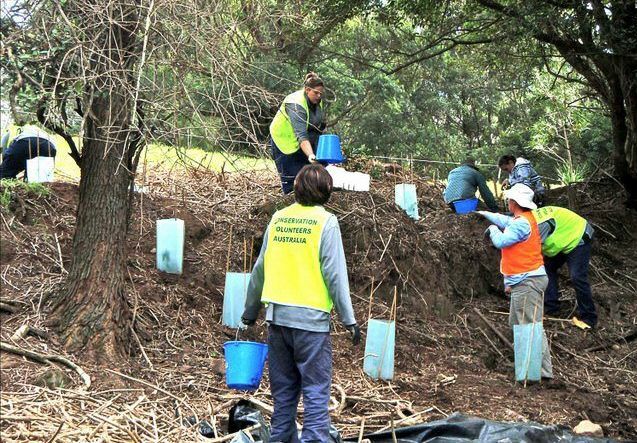 We have formed a Landcare group with our community to ensure our dairy farm is a long-term thriving commercial enterprise, and to protect and enhance our waterways and rainforest. Our business is a partnership between our cows, our landscape and our community, and all our decisions have to be flexible to accommodate all three. Our cows supply 50,000 Australians with their milk every day. Australia is the hottest and driest continent. Even I am amazed by the fact that one Australian farmer feeds about 600 people. This is becoming more challenging every day with increasing extreme weather events. Our climate change strategy is to optimise both the productivity of our cows and our landscape. 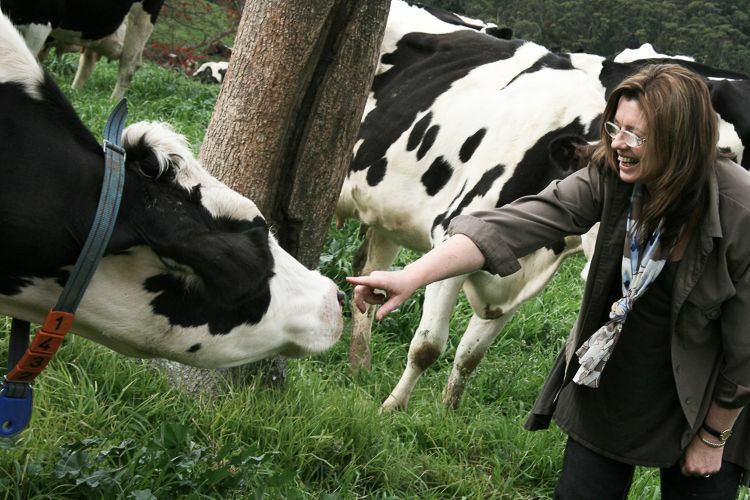 We run a highly intensive system with 4–5 cows per hectare, and we milk 3 times a day. This has increased our productivity, allowing us to further reinvest in the landscape. In doing so we have fenced off 50% of Clover Hill to increase biodiversity as well as protect the rainforest and waterways. Farmers can’t control the weather but we can control how we prepare for it. My advice is to be prepared. Don’t just assume that the rain is going to come because somebody’s given you a long-term forecast. Focus on being able to take advantage of the rain when it does come. Climate models predicted that climate change was going to result in a more favourable climate for this area and that we could expect slightly warmer temperatures and more stable rainfall. But we have found over the last 20 years that extreme weather events are now part of the norm. Our climate change strategies help us and our cows adapt to these events and make good environmental and economic sense. We focus just as much on our landscape as on our cows. There is no denying that all food production has an environmental impact. We have undertaken extensive tree plantings and established shelterbelts to protect and shade the cows, and native animals. Our farm is 50% pristine rainforest and we have planted thousands of trees to create native vegetation buffer zones between our pastures and the rainforest. We have installed off-stream gravity-fed water troughs in all paddocks and fenced off all of our waterways. This has resulted in improved water quality for our cows and the wider catchment, as well as less erosion. We have optimised our pasture’s growth rate, energy content and yield. This allows us to run 4–5 cows per hectare (twice the industry average) and helps improve the water quality, because good pasture cover means less nutrient runoff during high rainfall events. We regularly conduct soil tests, allowing us to create nutrient maps. Our advisor has created a nutrient budget for us and this allows us to time our fertiliser application, and reduce unnecessary costs and greenhouse gas emissions. We have spent a lot of money on doing these things but if you don’t invest in the landscape you can’t possibly be sustainable. Having done all the groundwork we expect increases in both productivity and profit in years to come. The jury is still out on whether cows are part of the problem or solution with respect to greenhouse gases and climate change. If there is a problem, it is not the cows, but the way farmers manage their cows and their farms. By selecting cows that are more efficient at converting pasture to milk, we have increased milk production and decreased our stocking rate. To improve this further we supplement their pasture diet with energy-dense grains. This means they are converting more feed into milk than into waste products like methane and nitrous gases. 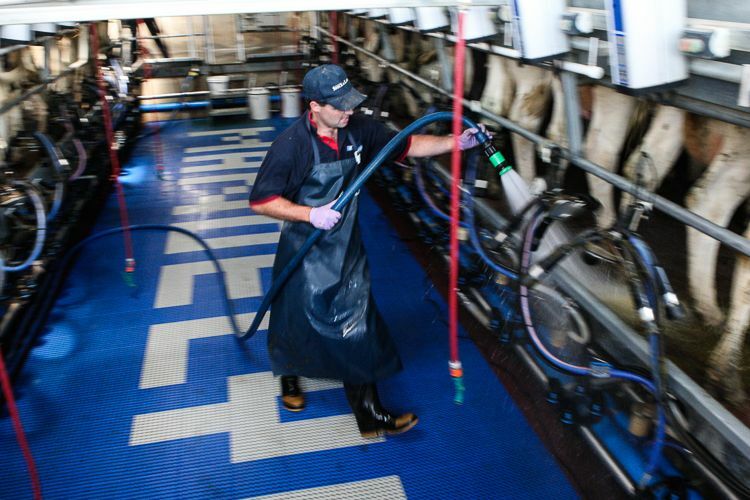 In 2005 we moved from milking twice a day to 3 times a day. This increased our milk production by 20% and reduced greenhouse gas emissions by 30% per litre of milk produced. 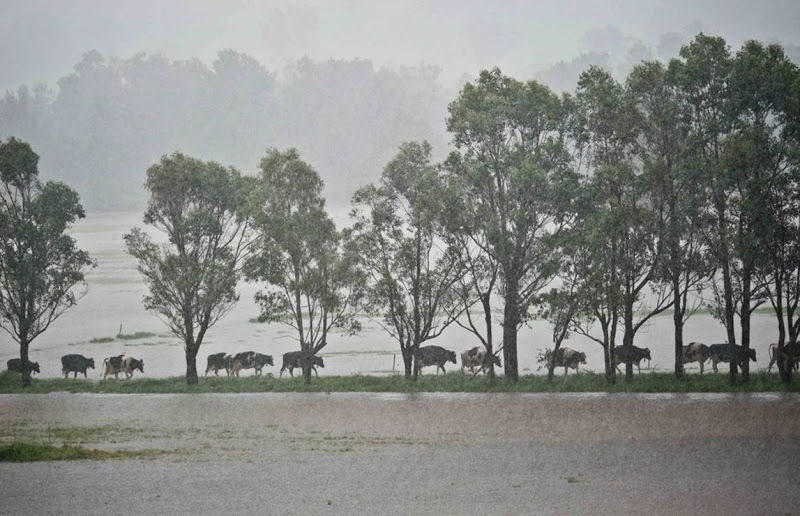 Our farm is in a very high rainfall pocket. Our average rainfall is 2000mm or 80 inches. These days it is not unusual to get an extreme rainfall event that brings 10 inches of rain in 10 hours. Each drought is hotter and drier than the last. In December 2012 we had 5 days where the temperature was over 40 degrees. 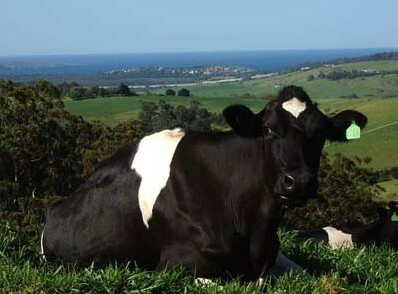 Dairy cows are like me. They like a temperate climate with averages around 25 degrees. Cows hate the heat and humidity and they hate mud. Cows really struggle during extended hot and humid days and their milk production drops dramatically. This highly variable climate means we need to keep alert. We need to watch our cows and the weather. Often during extreme heat events cows start absorbing more heat from the environment than they can emit and they start to pant. When it gets really out of balance they effectively start to melt. We have to ensure they have access to plenty of shade and water. They love the sprinklers in the dairy. We watch them as they exit the dairy. If they are still panting we will take them aside and hose them down until they stop panting. Over the years, we’ve also increased the number of trees and shelterbelts to protect and shade the cows during these extreme weather events. With a 3 times a day milking schedule, the cows are using our laneways 50% more often. This was contributing to lameness and impacting on our laneways and surrounding areas. The cows were moving slower and we were getting large deposits of effluent on the laneways, which was potentially ending up in the creeks and waterways. The extra traffic was also eroding our laneways. 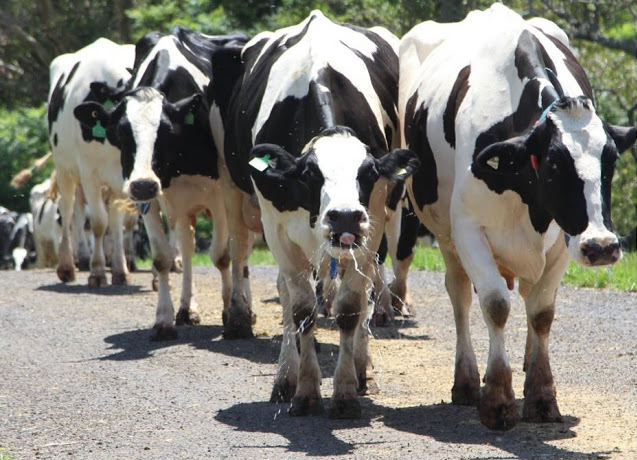 To overcome these problems, we have built what we call ‘cow super-highways’ to ensure cows go backwards and forwards from the dairy as efficiently as they can. We also made our laneways more durable by using recycled slag and we concreted laneways that run through our wetter rainforest areas. Half of the water we use is used in the dairy and we recycle and reuse most of it. We use recycled water to cool the milk before it goes into the vat and to operate the hydraulics for the entry and exit gates. We’ve also created an effluent reticulation system fuelled by the water we use to wash down the dairy. We irrigate 6 hectares of farm land from it. 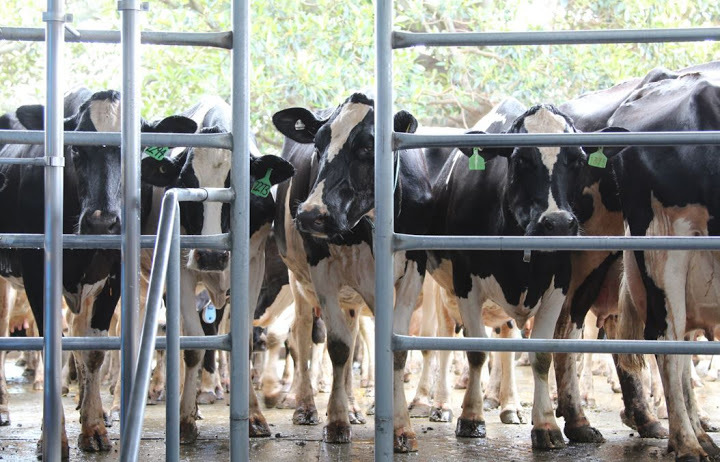 These strategies have helped us to become one of Australia’s most water efficient dairy farms, producing 125,000 litres of milk per megalitre of captured water, which is 35 times the industry average. Our farm is now in the excellent hands of the next generation and I am focussing my energy on taking the conversation beyond the farm gate. I am hoping these conversations will create an impetus for the community and farmers to work together to map out a brighter future. The Climate Champion program has helped me to meet farmers from around Australia and hear and share their wonderful stories about managing climate risk. Along with 48 other Australian farmers, I teamed up with Earth Hour Australia and shared my story as part of the Planet to Plate Earth Hour cookbook. I founded Picture you in Agriculture, where we roll out the Art4Agriculture suite of programs including The Archibull Prize and the Young Farming Champions. This initiative really lights my fire as we work with school students and young farmers from around Australia.